Add a refined touch to your tub ensemble with this elegant filler from Barclay. 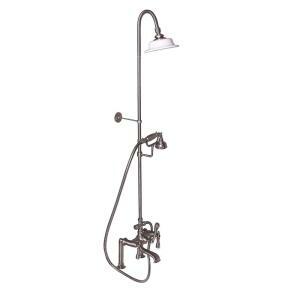 Designed to mount on the rim of your claw foot tub, it features an elephant spout with metal lever handles, diverter and riser. Our extraordinary Sunflower shower head, encased in porcelain, is the finishing touch.